Welcome to Holmes County, Ohio, where twins Mattie and Mark Miller can’t seem to agree on anything. When their disagreements start to cause big trouble in their Amish community, will these energetic nine-year-olds call a truce and acknowledge that their differences are what make them so special? 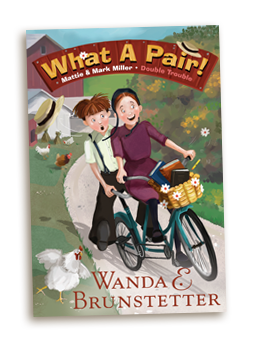 You’ll fall in love with the first release in the Double Trouble series from bestselling author, Wanda E. Brunstetter. 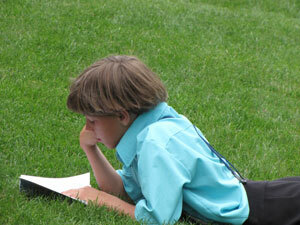 Click here to visit the new website for all of Wanda’s children’s books, which includes information and fun things to do. Welcome to Holmes County, Ohio, where twins Mattie and Mark Miller are in for quite a bumpy ride. When their selfishness begins to cause big trouble at every turn, will these energetic nine-year-olds learn the value of sharing before it’s too late? 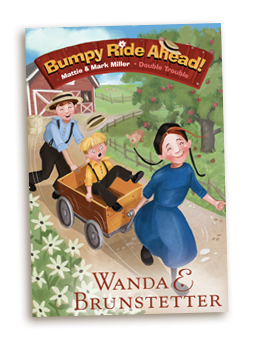 You’ll fall in love with the second release in the Double Trouble series from bestselling author, Wanda E. Brunstetter.Click here to visit the new website for all of Wanda’s children’s books, which includes information and fun things to do. 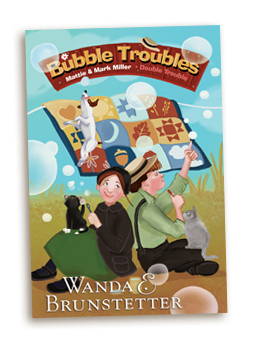 Twins Mattie and Mark Miller experience Bubble Troubles in their Holmes County, Ohio, community. Whether they’re worrying over lost dogs, scary storms, or falling through the ice, the energetic 9-year-olds just can’t seem to shake their feelings of uneasiness and uncertainty. 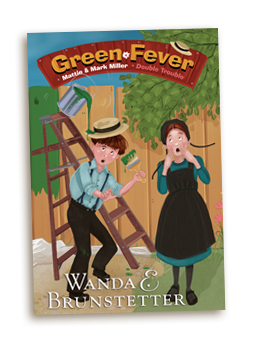 Will Mattie and Mark learn the value of turning their worries over to God before it’s too late?Click here to visit the new website for all of Wanda’s children’s books, which includes information and fun things to do. Welcome to Holmes County, Ohio, where twins Mattie and Mark Miller get a case of Green Fever. When their out-of-control jealousy begins to cause big trouble at every turn, will these energetic nine-year-olds learn the value of contentment before it’s too late? 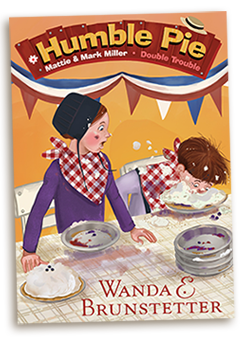 You’ll fall in love with the fourth release in the Double Trouble series from bestselling author, Wanda E. Brunstetter.Click here to visit the new website for all of Wanda’s children’s books, which includes information and fun things to do. Twins Mattie and Mark Miller get a taste of Humble Pie in their Holmes County, Ohio, community. Whether they’re bragging about their ability to play sports, ace a test, bake a cake, or win a pie-eating contest, the exuberate almost ten-year-olds just can’t seem to tame their pride. Eight- to twelve-year-old readers will fall in love with the fifth book in this brand-new series from bestselling author Wanda E. Brunstetter. Click here to visit the new website for all of Wanda's children's books, which includes information and fun things to do. The idea for the Double Trouble series came about because twins run in my family. My grandmother had a twin brother, my mother has a twin sister, and my daughter has twin girls. Having been around twins so much in my life, I've come to realize how unique they are, how much fun they can have, and how much trouble they can get into. Since my husband and I have several Amish friends in Holmes County, Ohio, and we usually visit them every year, I thought this would be a great place to set the new series.